Yamaha drew on its long experience as a manufacturer of top quality HiFi speaker systems to develop the Yamaha NS-AW392 outdoor all-weather speakers. From Yamaha - We were able to make them extremely durable while still maintaining audio performance up to Yamaha standards. The Yamaha NS-AW592 woofer uses a highly responsive cone and a fluid-cooled soft dome tweeter, both specially processed for water resistance. The internal structure has been carefully designed for optimal time alignment between the two units, providing proper sound imaging. A waveguide and front baffle ensure good sound dispersion characteristics. Tonal clarity in all frequency ranges is excellent, with very low distortion. The Yamaha NS-AW392 outdoor all-weather speaker, with a plastic cabinet and specially processed woofer and tweeter, these speakers will perform reliably when mounted outdoors. They are water resistant, and are not affected by sunlight (UV rays) or high or low temperatures. 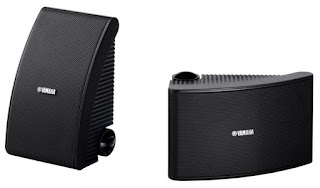 The Yamaha NS AW392 has a unique, appealing design that sets them apart from other outdoor speakers, most of which are box-shaped. 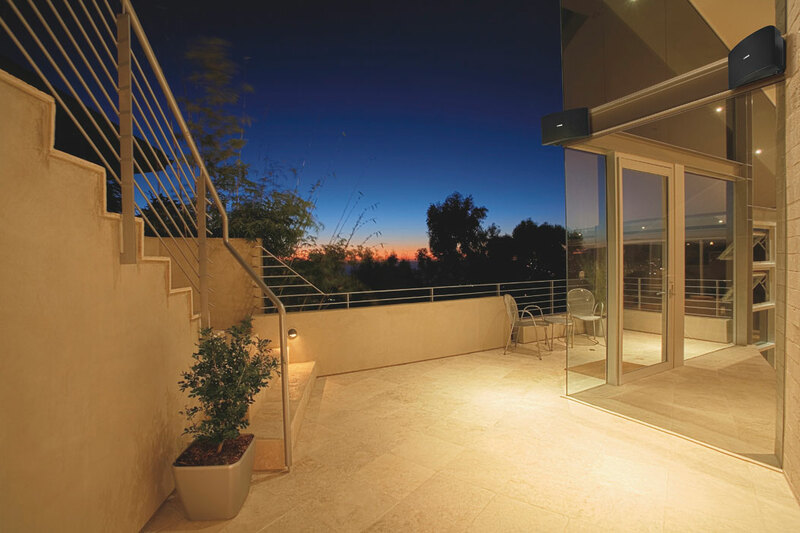 Even though they stand out on their own, once you install them you'll find they nicely match the exterior or interior decor.